Alhambra tickets can be tricky to purchase at peak times of the year. The Alhambra palace is visited everyday by thousands of people. So its important to book ahead. Reserving as soon as you can you will guarantee that you get a ticket on the day that you are in Granada. The reason that Alhambra tickets are limited to a certain number is to protect the interior of the Nasrid palaces., Some of the walls and floors are delicate and need to be protected from wear. 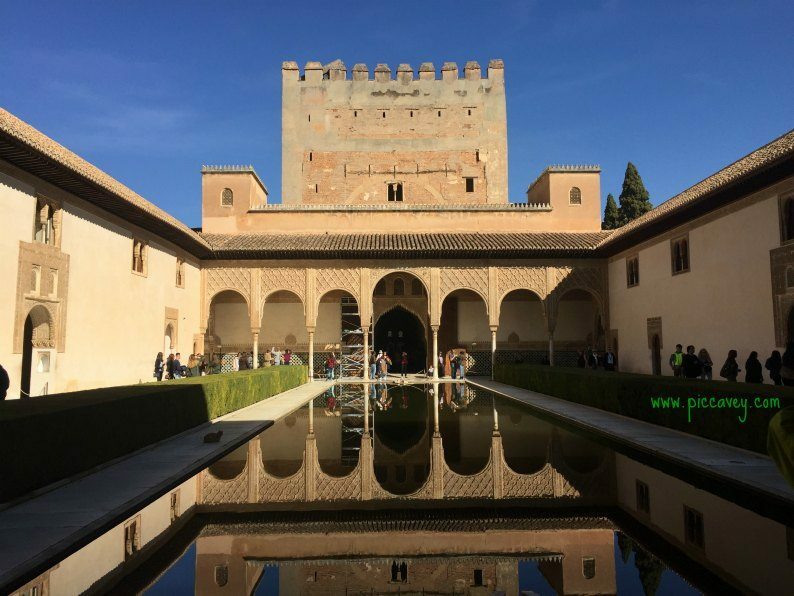 If you want to visit this UNESCO World Heritage site you need to book Alhambra tickets well in advance. They often sell out epecially around Eastertime and Summer months. You can buy tickets online at the official Ticket website. However these tickets tend to sell out quickly and can only be purchased a few weeks before the visit. As they are only released 20 days ahead of time it´s not always so easy to be on the ball and get the slot you need to coordinate with your travel plans. The option of getting Skip the line Alhambra tickets is much simpler. 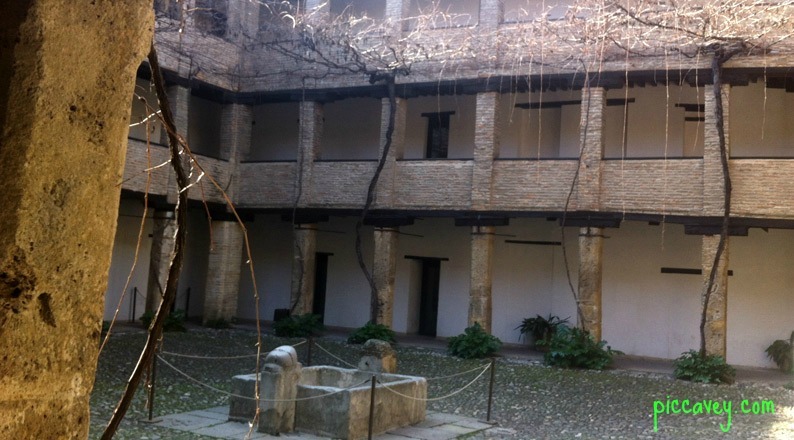 This option above has the Alhambra Palace ticket and a Guided tour in English in a group. This option above has the Alhambra Palace ticket and Guided Tours from different tour companies. You will be included in a Group tour. The difference is that the Private Tour is an official Tour guide just for you with the entrance tickets. The Semi Private Tour is a small group tour. Please contact me by email and I can arrange that with an Official Alhambra Guide. If you do manage to buy onthe official Ticket website of the Patronato de la Alhambra. 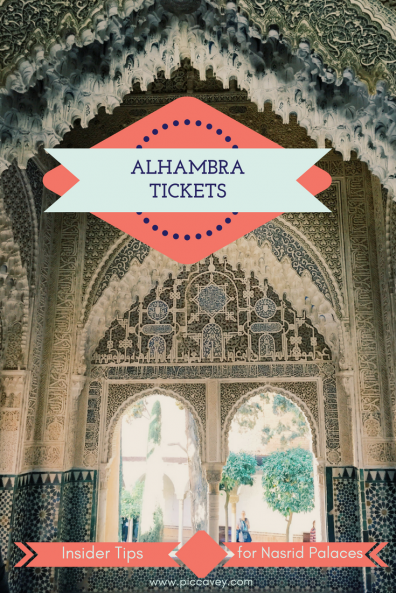 You can collect you ticket at the Alhambra ticket offices when you arrive. There is a window for people who have prepaid their tickets and usually no queue at all. The Tienda Librería Alhambra in Plaza Nueva, a bookshop in Granada just up from Gran Vía no longer print out Alhambra tickets. Please note that since the end of 2013 it is no longer possible to print your Alhambra tickets in Servicaixa cash machines outside of Andalusia. If you are in Andalusia you will be able to print out your tickets at any Servicaixa ATM. Which type of Alhambra visit? There are two options for planning your visit. Night time or daytime visit. When you go to purchase online Alhambra tickets you need to take care when you select the ticket you are buying. The night time visit is to enter the Nazrid palaces only. This is includes the famous patio of the Lions. 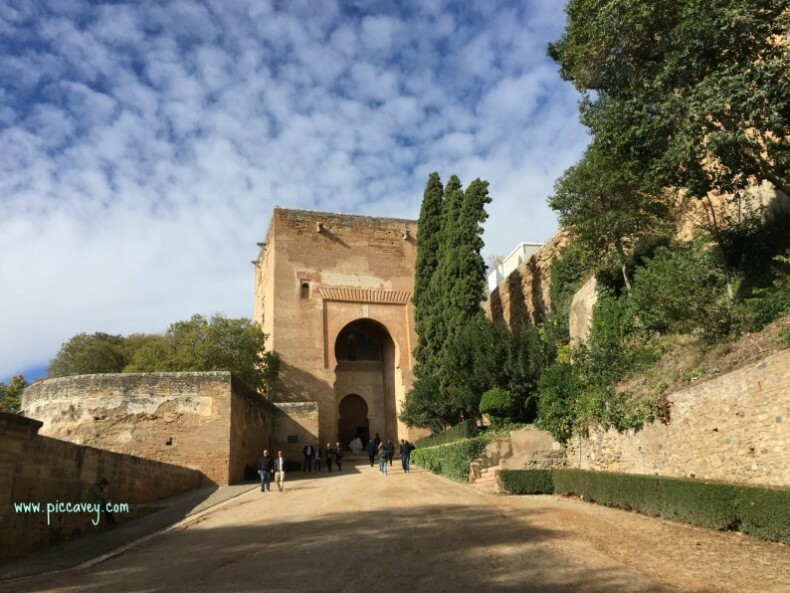 The day time ticket includes Alcazaba, Nazrid palace and rest of the complex. Generalife Garden visit refers to the Summer palace and it´s gardens. This visit is a great compliment once you have seen the rest of the monument. In spring and summer the fragrance from the plants and colors from the flowers are spectacular. This ticket only allows entry to the Gardens. You will not see the inside the palace, the Lions Courtyard or Nazari Palace on this ticket. 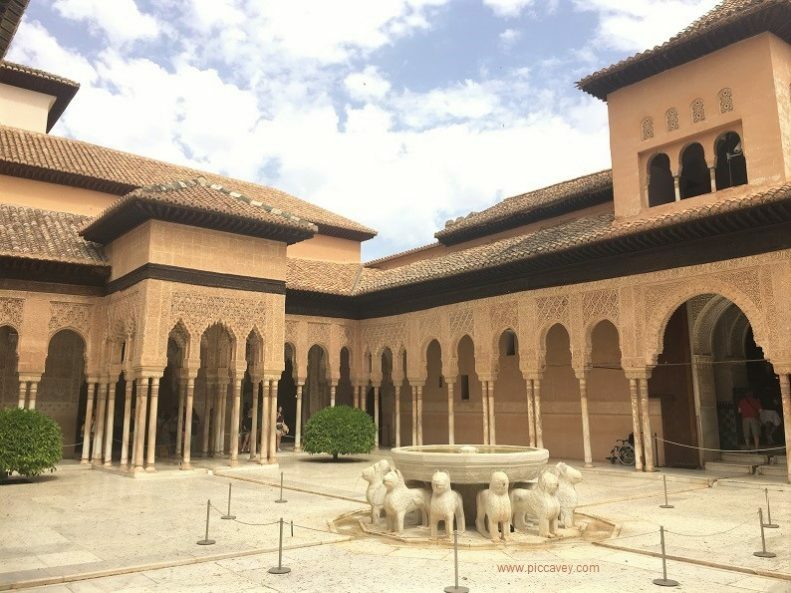 When you are heading to the Alhambra palace for your visit, it is very important to arrive earlier than the time printed on the ticket. The time printed on the ticket is not the time to go in the Main entrance.It is the time which you have been allocated too visit a certain area of the monument. If you arrive at the Nasrid palace door later that the time printed on your ticket you will not be allowed entrance. They are not flexible on this point at all. Also remember to save your ticket after going into the Alhambra. You may need to show this on different doors further along the visit. If you go for the whole day, wear comfy shoes or trainers. Along the route there are dusty tracks, cobbles, steps to climb and smooth marble floors. Please make sure you are prepared for the day, some parts of the visit are outside. You may need to take a jumper/coat or sun cream and hat depending on the time of year. Following the numbers on this guided route ensures you take a logical path around the huge complex to prevent having to back track and walk further. If you would like a guide to accompany they offer the tour in several languages. 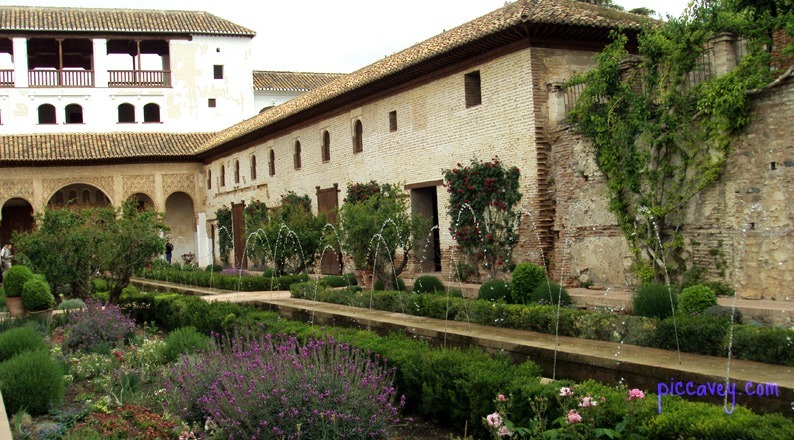 So you can tailor the alhambra palace visit to your exact requirements. Take a taxi Palacio Carlos V and just see the Palacio Nazaries. 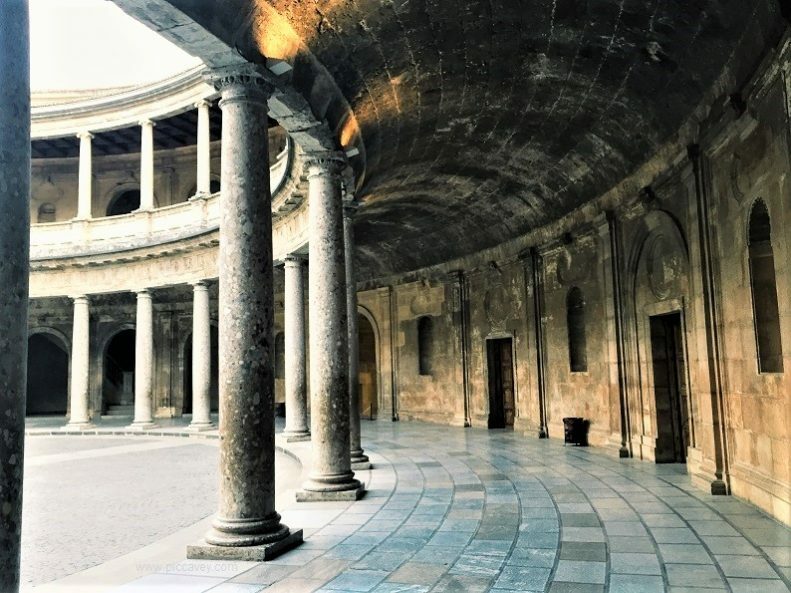 This is the heart of the Alhambra. This visit will keep steps and long walks to a minimum. Please note that pushchairs are not allowed inside the Nasrid Palace. You will need to leave the strollers at the security desk next to Palacio de Carlos V (Puerto del Vino) and collect it after. The same applies to large rucksacks and Trolley suitcases. To have lunch or dinner inside the alahambra palace complex, there are several options. You may want to take your own food. 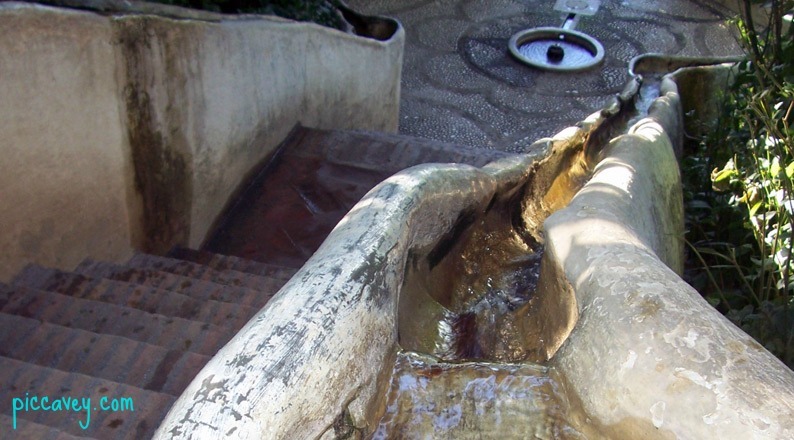 This is not a problem, however you need to eat in one of the areas outside of the palaces. Benches in the gardens or one of the open spaces around the monument. Near to Carlos V or the Wine Gate are good areas. A packed lunch would be a good choice if you plan to be there all day or want to stick to a budget. Restaurante El Mimbre or Jardines de Alberto. Both are reasonably priced but not inside the complex. They are located opposite the main entrance. Hotel America is a small white building just up from Palacio Carlos V. They serve simple food in their courtyard. Inside the Alhambra some sandwiches, baguettes and hot drinks are sold in a small hut next to the Alcazaba entrance on Plaza de los Aljibes. Vending machines and the toilets are located close to Palacio Carlos V. This is in the centre of the Alhambra complex. Parador de Granada. The restuarant is fabulous and overlooks the Generalife. It is the more pricey option but wonderful for a treat after all that walking about. • If you want you can walk up the steep hill from Plaza Nueva. Take Cuesta Gomerez all the way up through the woods and you will go past the Hotel Washington Irving & then to the Ticket office and main entrance. • A taxi will cost around 6 euros to go the the Alhambra ticket office (of course the final cost depends on where you are in the city) I think this is the best option, especially if there are two or more people. The walk downhill is better after the visit, for a pleasant stroll. 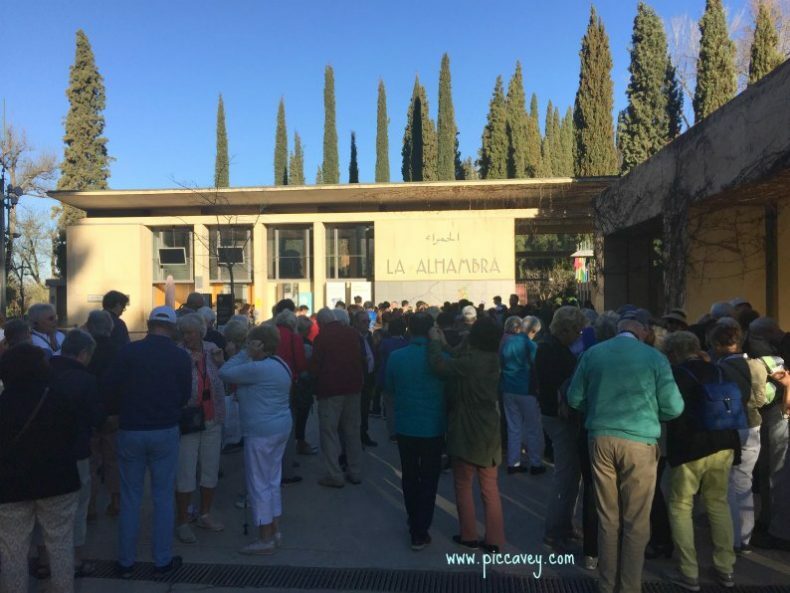 It is more expensive than just getting your tickets to the Alhambra in advance, but if you really want to avoid the lineups morning-of, it’s worth it. Plus, it gives you entrance to a bunch of other monuments/sites in Granada and several free bus rides. Anyway, thought I’d share! I wanted to thank you for being such a great samaritain this morning to the two random strangers on the C3 bus to Alhambra. For the public record I wish to explain what you did. It began when you were able to help 2 confused travellers understand the “justice gate” shortcut is after the main stop on the bus route. Something that three to ur guides failed to mention. Then, in spite of a meeting to attend, you walked us to security to check the stroller to alllow us time to enter the Nazrid palace. Then upon realizing that in spite of booking online 3 months in advance (where we were unable to find an online option to purchase a separate ticket to Alhambra for our two year old.) You walked us just in time to the line up, then went to the front to speak in Spanish with the security agents that were able to “create” some documentation to allow us (and our feisty two year old) in. All this so two random strangers could maximize their experience in Granada! 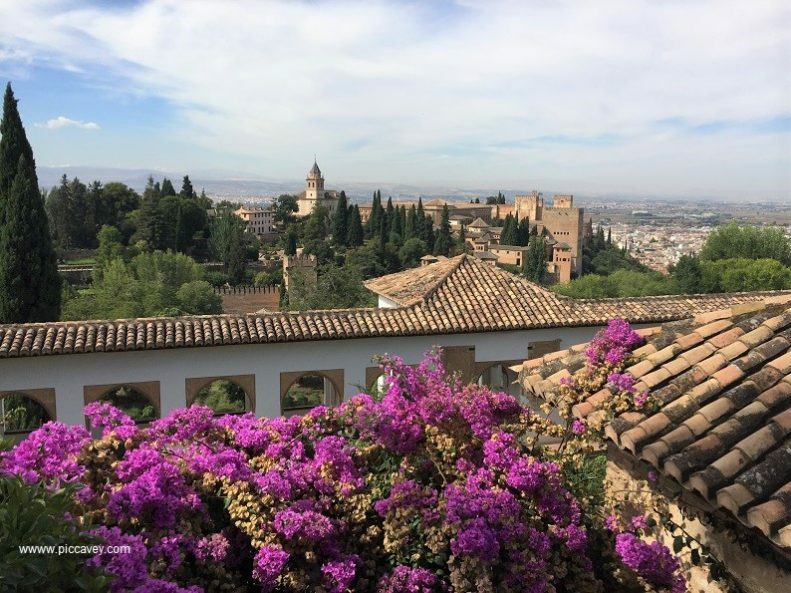 We are seasoned travelers who rarely make “tourist mistakes” and are wholeheartedly appreciative of your efforts to allow us to experience Alhambra. We can only thank you from the bottom of our hearts! I’ve purchased our tickets online for our visit later week. The only time I could get was 2pm, and I see that next few days are going to be really hot in Granada. Any tips? Should we head directly to the Nasrid palace first and hope the later afternoon cools down in order to explore everything else? Ha! Or go early to see the rest of the Alhambra and wait somewhere cool after lunch until our entry time? 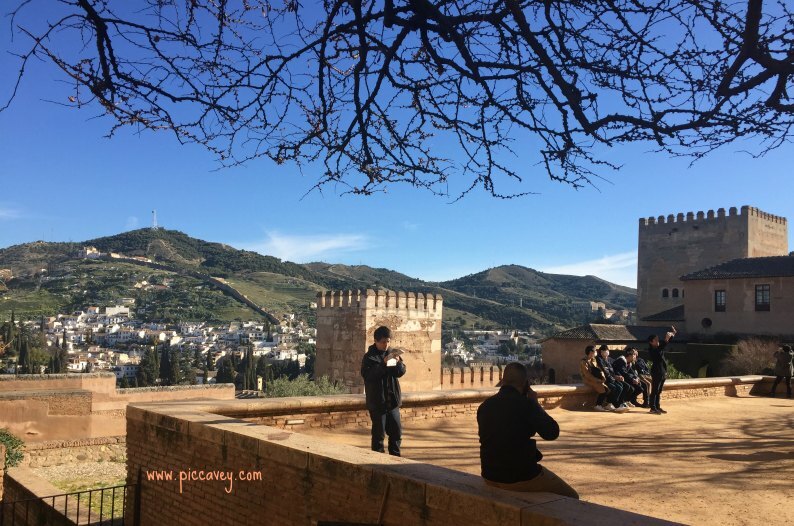 Molly – We all want to plan a guided tour of the Alhambra and Generalife Gardens. Do you ever do these private tours yourself? Hi molly i just stumbled on this. Pls send me an email. Thanks!